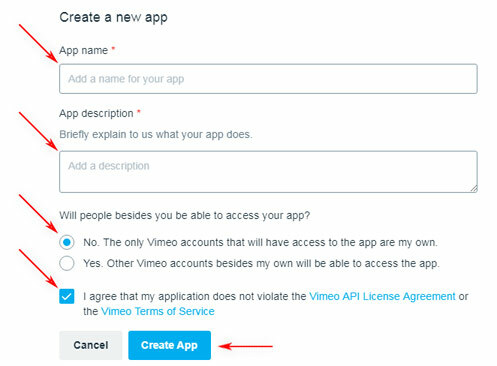 Step-by-step instructions on how to get the Vimeo API info. In order for the WebTV to be able to get certain information from the Vimeo videos (Ex. categories associated with a video), it is necessary to provide the API information from that Site. 1B. 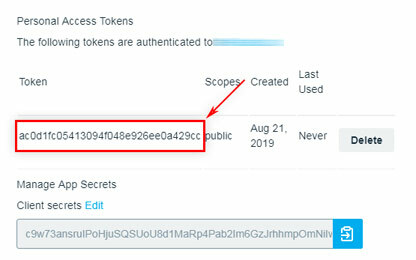 If you are not registered at Vimeo, do it here: https://vimeo.com/join and verify your account. 4. 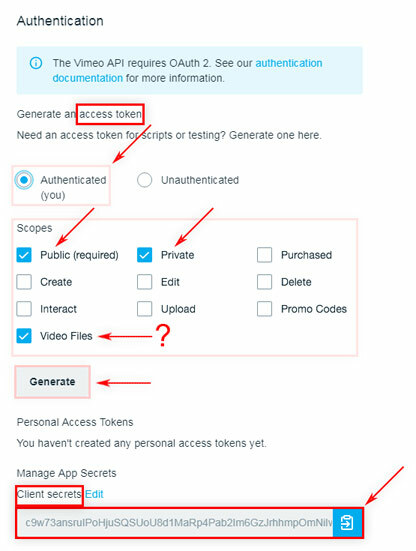 Enter the necessary info (Name, Description, URL of your WebTV and accept the terms) then click "Create app" button.